KATHMANDU, Jan 9: Chief Executive Officer (CEO) of the National Reconstruction Authority (NRA) Sushil Gyewali submitted his clarifications to the government for a second time on Sunday, reiterating his previous stance that the delay in the post-earthquake reconstruction and rehabilitation was the result of government's inefficiency. The government, concluding that the clarifications submitted Gyewali on Wednesday was not satisfactory, had decided on Thursday to sack him and also asked him to furnish clarifications again within 24 hours on why he should not be sacked. 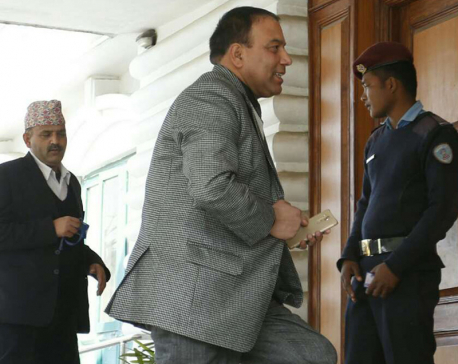 Acting on the government's decision, Gyewali reached the Office of the Prime Minister and Council of Ministers (OPMCM) on Sunday and handed in his clarifications for a second time to OPMCM Secretary Dinesh Thapaliya. On December 29, the government had decided to seek clarification from Gyewali within seven days as the authority under his leadership failed to expedite the reconstruction and rehabilitation tasks as per the expectations of the earthquake victims even after a year of his appointment. 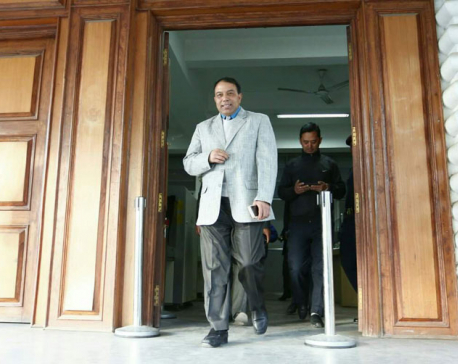 Based on the decision, Gyewali had submitted a 12-page clarification to the government on Wednesday in which he had blamed the government for the delay. And in the clarification submitted to the government for the second time also, Gyewali has stuck to his previous stance that the delay in the reconstruction and rehabilitation was not because of NRA but due to the ineffectiveness on the part of the line ministries and other government bodies in implementing the directions given by the NRA steering committee led by the prime minister himself. He has said that the letter sent by the government asking him to furnish clarifications again on the ground that the NRA failed to do any tangible work in reconstruction and rehabilitation sector was in itself not factual. 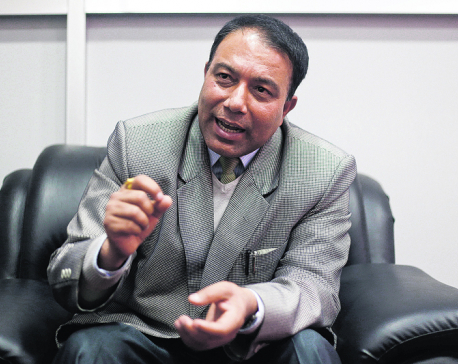 "Gyewali has claimed that despite manpower crunch, lack of budget and other challenges like lack of representatives in the local levels, the NRA under his leadership has been able to do major works related to reconstruction and rehabilitation in the first year of his five-year tenure,” a highly-positioned source at the OPMCM informed about the clarification submitted Gyewali. He has said that the Ministry of General Administration has yet to supply sufficient manpower to the NRA though the steering committee led by the prime minister himself on October, 2015 directed the ministry to do so within 15 days. He has stated that the Ministry of Finance has yet to release sufficient funds for implementing various plans and programs of the NRA even though the prime minister has already asked the ministry to release the funds and pave the way for speedy reconstruction. He has claimed that the donor agencies supporting the government in reconstruction and rehabilitation have praised him for completing so many major tasks in a short period of time. “So, there is no point saying that the NRA did not do anything,” Gyewali has stated in his clarification. According to OPMCM, the clarification has been forwarded to Chief Secretary Som Lal Subedi. The upcoming cabinet will discuss the matter and decided Gyewali's fate.